The Air Force is preparing to launch Combat Dragon III, a combat demonstration meant to test light-attack aircraft in the field, according to Aviation Week. Air Force leaders have not yet reached a final determination about the exercise, but officials have forged ahead. “We are preparing as if we’re going,” Air Force Reserve Col. Mike Pietrucha, who is light-attack adviser to Air Combat Command, told Aviation Week. The service has selected a squadron commander and settled on a detachment of 70 people, Pietrucha said. Those personnel will be drawn from operational squadrons, and staff and will be required to have at least 1,000 flight hours and combat experience, among other qualifications. At the beginning of this year, Air Force Chief of Staff Gen. David Goldfein said the service was looking for an inexpensive fighter that could perform close-air-support missions over the battlefield. The aircraft in question was reportedly envisioned as a cheap plane available commercially and which could handle combat missions — including close air support, basic surface attacks, and rescue escorts — against insurgents and even near-peer adversaries. In August, the Air Force conducted the Light Attack Experiment, or OA-X, at Holloman Air Force Base in New Mexico. The service said OA-X was part its efforts to “explore cost-effective attack platform options” and featured Textron’s Scorpion and AT-6 Wolverine, the Super Tucano A-29 made by Embraer and Sierra Nevada, and Air Tractor’s AT-802L Longsword. 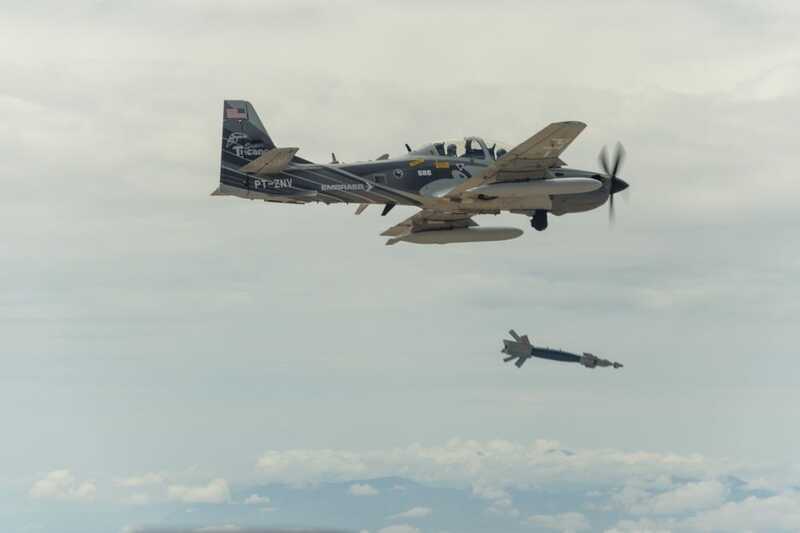 While Air Force leadership expects to make a final decision about combat-testing by the end of the year, Aviation Week reports that it has already selected some of aircraft tested in August — two each of the A-29 Super Tucano and the AT-6 Wolverine — for testing in a combat environment. The exercise would be done in an area under the purview of US Central Command, which oversees operations in the Middle East, according to Aviation Week. The exact location hasn’t been selected, though some areas — like parts of Syria too close to Russian air defenses — have been ruled out. The tests would focus on the aircraft’s weapons capabilities as well as their maintenance needs and reliability. 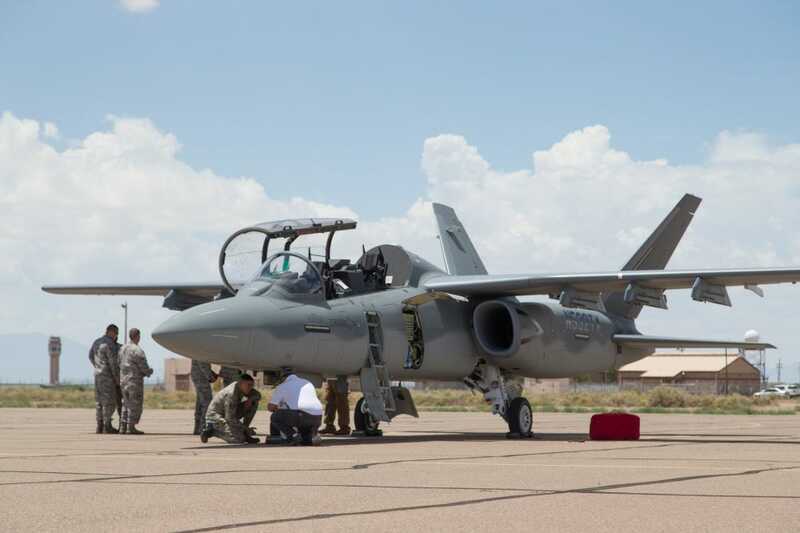 The light-attack aircraft endeavor, which may see the Air Force eventually acquire up to 300 of the aircraft, comes as the service faces a high-operational tempo with an aging fleet. The F-15E and the A-10 Thunderbolt have been the backbone of the service’s close-air-support mission during the fight against ISIS in Iraq and Syria. The introduction of a light-attack aircraft is meant to supplement the fleet as it moves closer to retiring the A-10. Officials have said cheap light-attack aircraft, able to linger above environments where there are few antiaircraft assets, would also free up high-end fighters, like F-15s and F-16s, that are currently assisting against ISIS for the more complex and dangerous missions they are meant to perform. Light-attack aircraft would also provide an additional platform to train pilots at a time when the service is struggling to prepare and retain fliers. In the wake of President Donald Trump’s announcement of a new strategy for the 16-year-old war in Afghanistan, Air Force officials said the service could shuffle its air assets in the country. 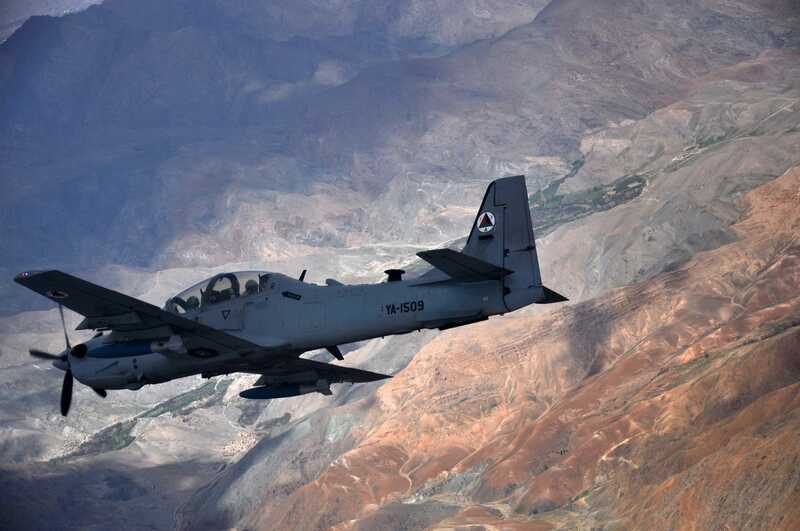 The Afghan air force currently has a dozen A-29 Super Tucanos. The planes became operational there in April 2016, and between then and February this year they flew more than 800 combat missions. The US is looking to expand training of Afghan pilots in addition ramping up strikes by US aircraft.